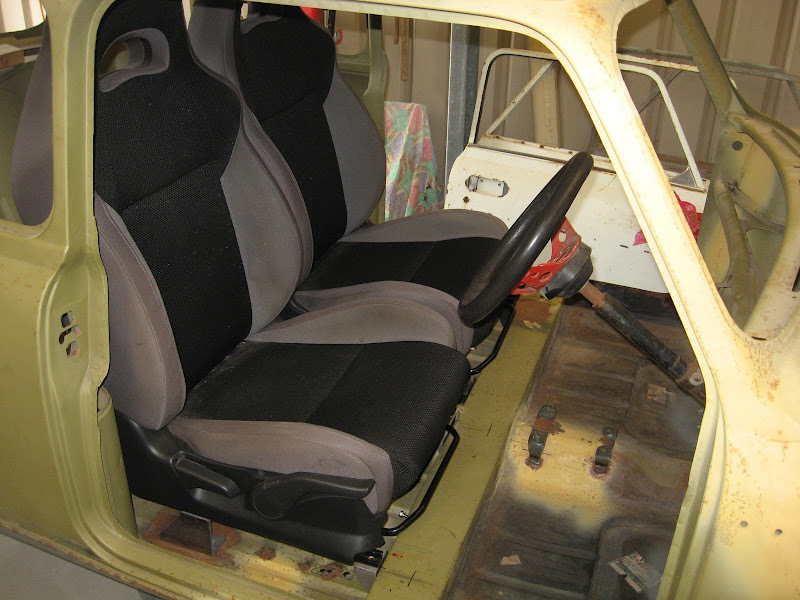 I used to have a pair of seats from a Suzuki Swift and fabricated some seat mounts but I have since acquired a pair of seats from a GD Subaru Impreza WRX and sold the Swift seats. The seat rails of the Swift vs WRX seats are different widths so I had to scrap the old mounts and start again. 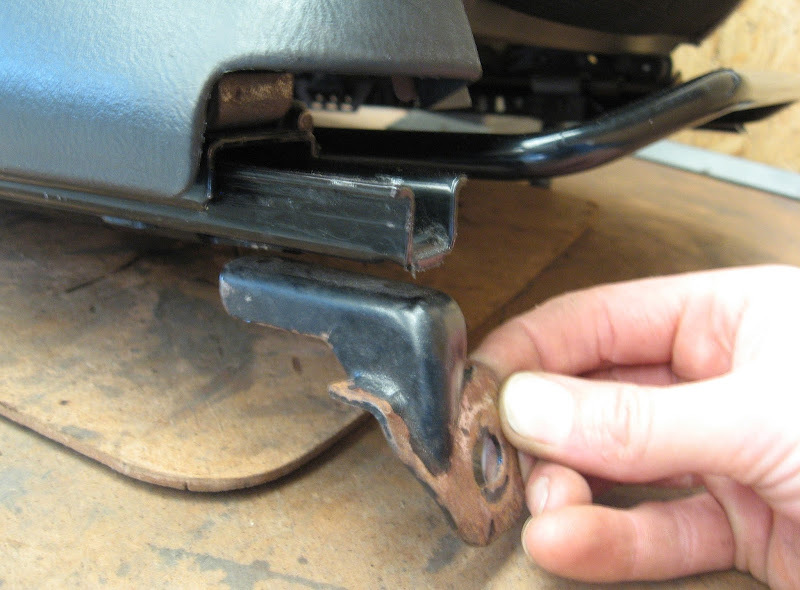 Each corner of the WRX seat sliders have pressed steel brackets attached by heavy duty rivets so the first step was to remove these brackets by drilling out them out. I used a spot weld drill bit to help with this. 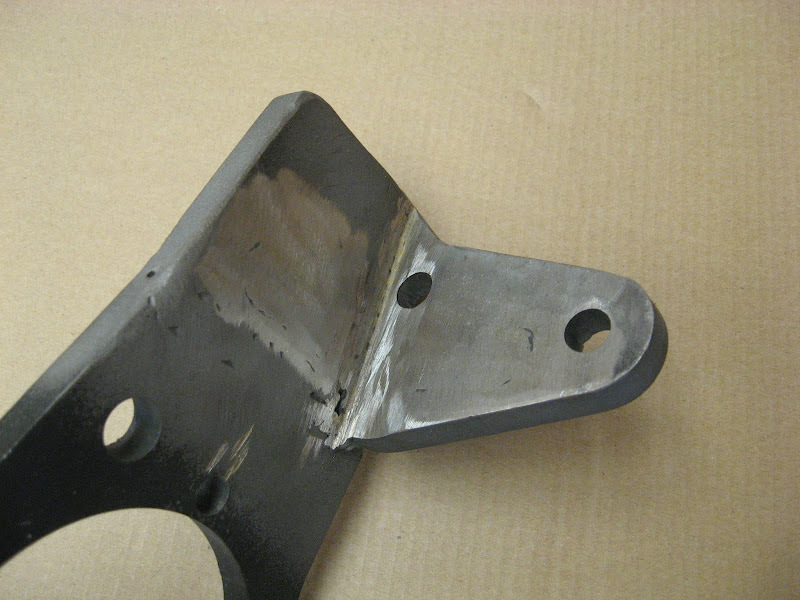 The rear mounts been welded together with some flat steel bar. 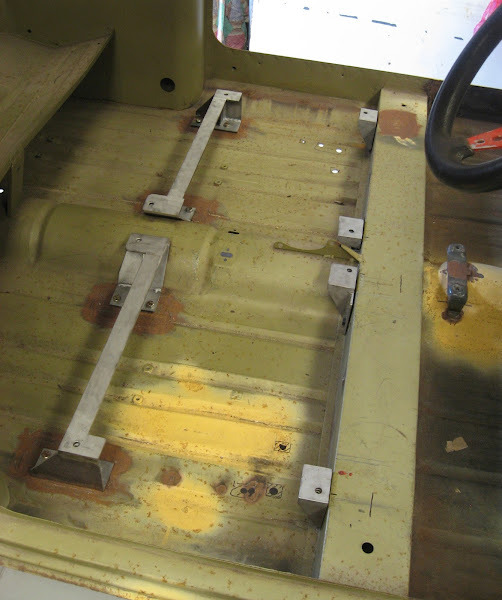 I was concerned that the inner bracket would pull up on and fatigue the floorpan metal (due to the steep angle of the bracket) if it wasn't tied to the other rear bracket. 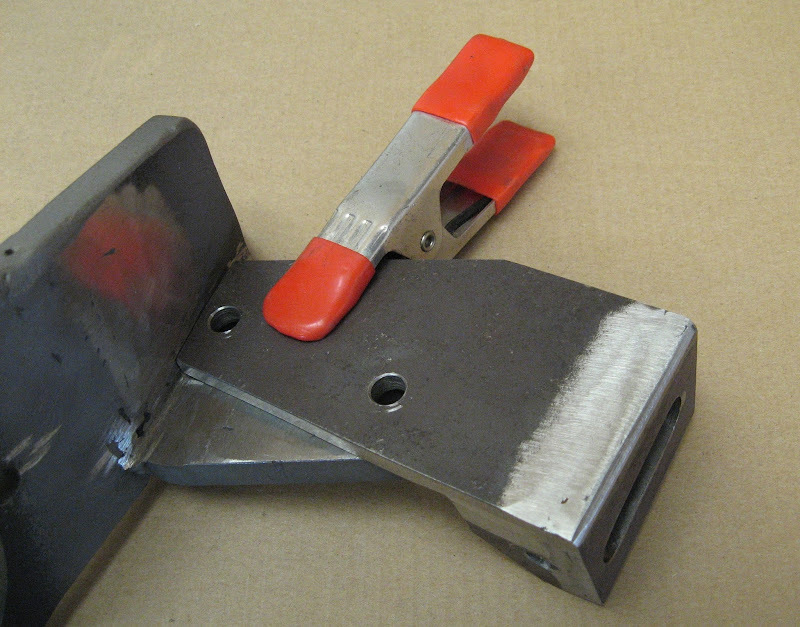 FYI, the inner bracket is the same height as the outer bracket despite what it it looks like in this photo. 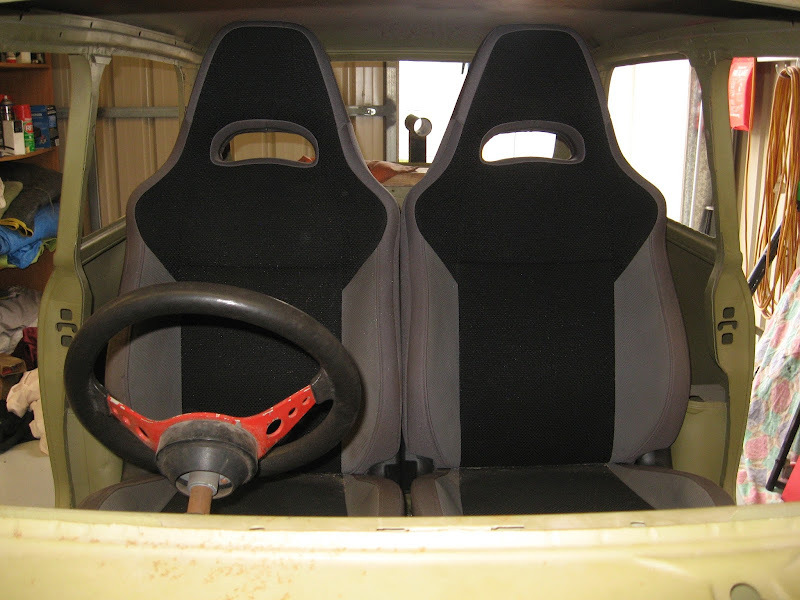 With the seats fitted, they (just) touch each other in the centre of the car but that was the compromise of being able to mount the seats rearward to get legroom, and clearing the rear storage bins. My wife & I sat next to each other in the seats and despite the seats touching each other, the space between us was still reasonably good. Headroom was okay too, even once the headliner takes away 30mm or so. Nice and snug. Can you get the kids n the back still? Not legally, no. 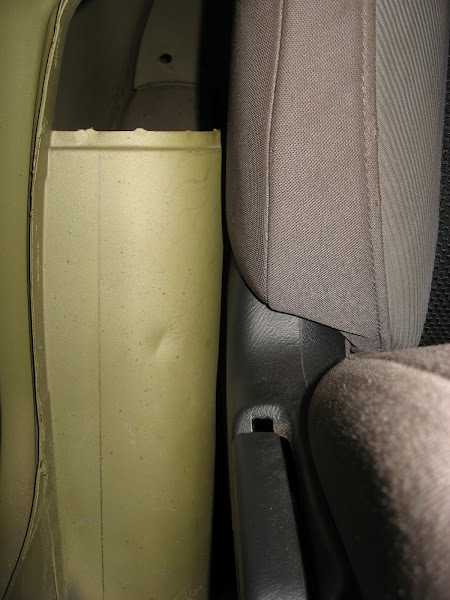 After the seat is both folded and slid forward, there is still not enough room between the seat and B-Pillar for an emergency egress situation. The rear seat will be for looks only and the Mini will be registered as a 2-seater. 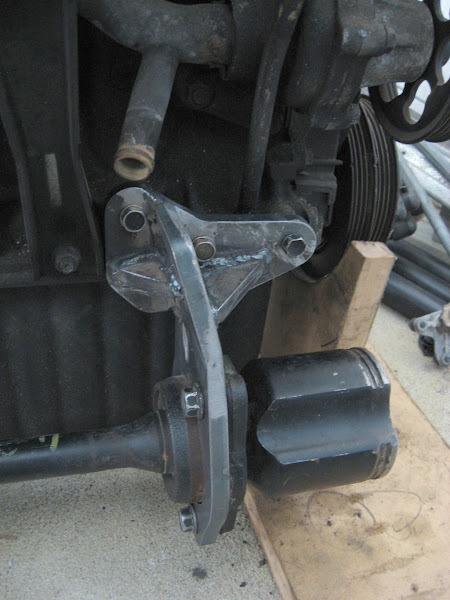 After fitting the engine in for the first time in about 4.5 years, I started fitting some ancillary parts and the first issue was the proximity of the dump pipe to the front brace bar (that ties the two subframe front mounts together). The dump only had about 5mm clearance - thanks to the recent change & remake of the brace bar. 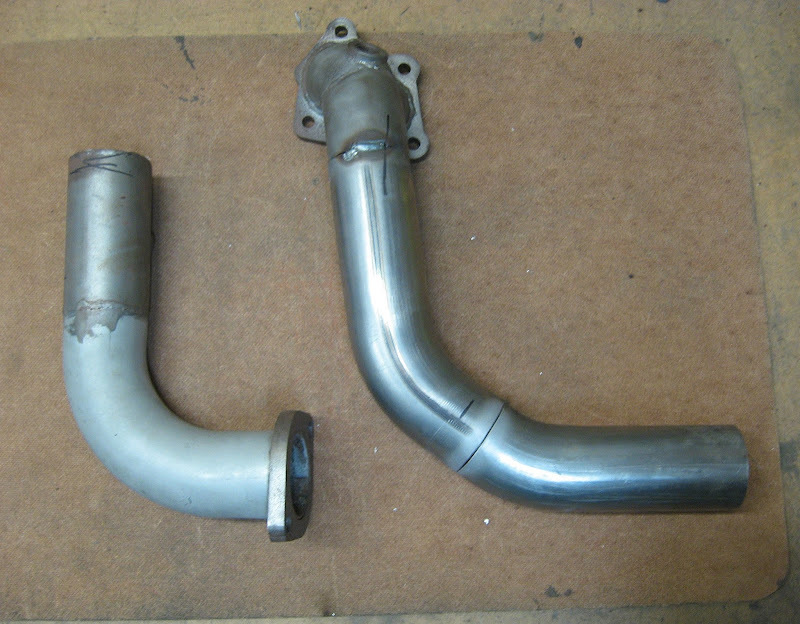 The bend in the pipe changed from one 90 degree to 2x 45 degree bends - for no reason except that's all my exhaust place had in stock at the time. 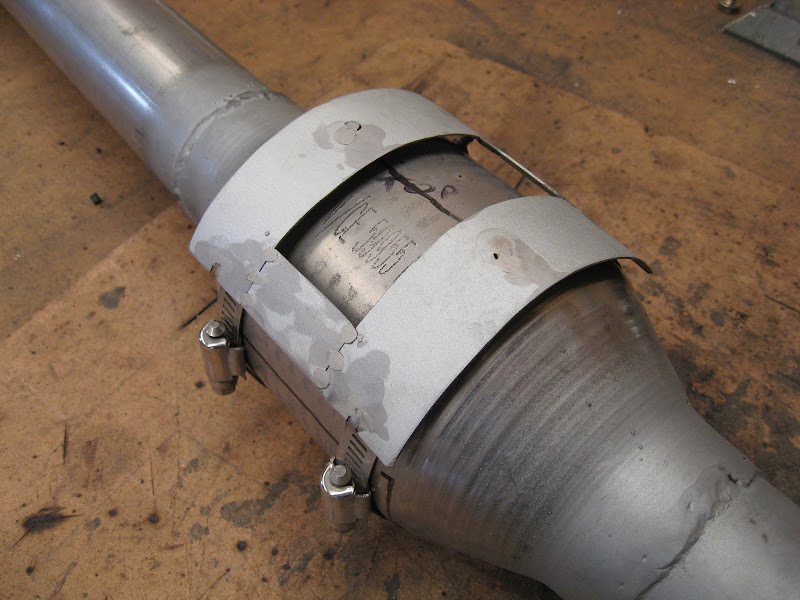 This photo below shows the original down pipe (which was cut off) on the left and the updated design on the right. 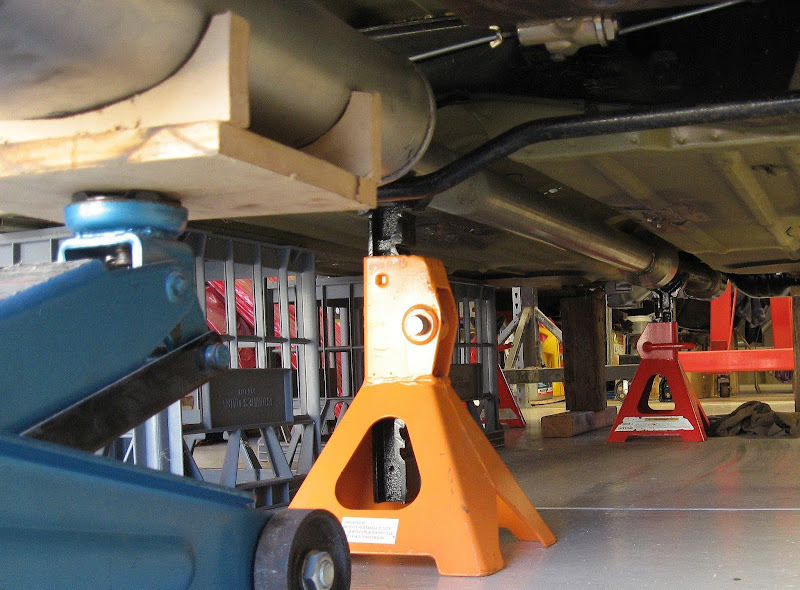 Note the different vertical angle of the new down pipe which provides the extra clearance. From there, I figured the rest of the exhaust can be done which will make it a full 2.25" from turbo back. I had bought a Magnaflow metal spun high flow catalytic converter a long time ago for this. 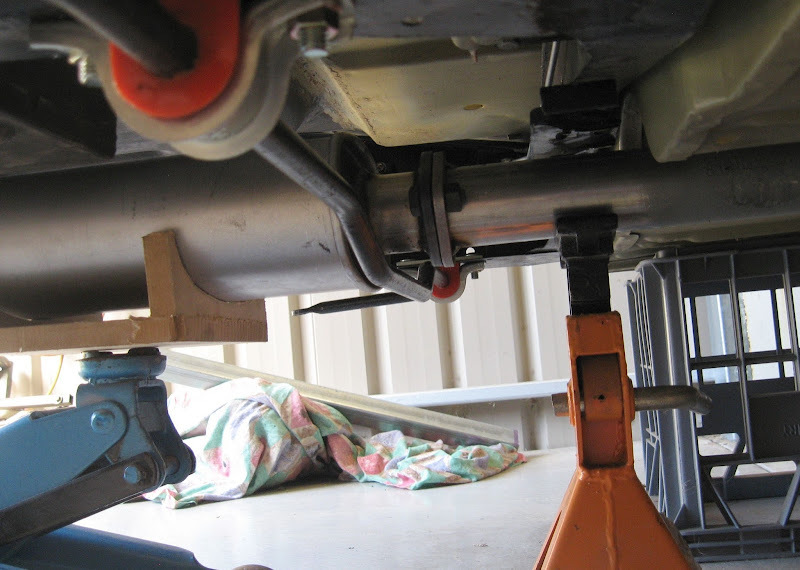 I used axle stands to hold everything in place and for the muffler, I made a simple cradle from MDF to sit on my trolley jack. 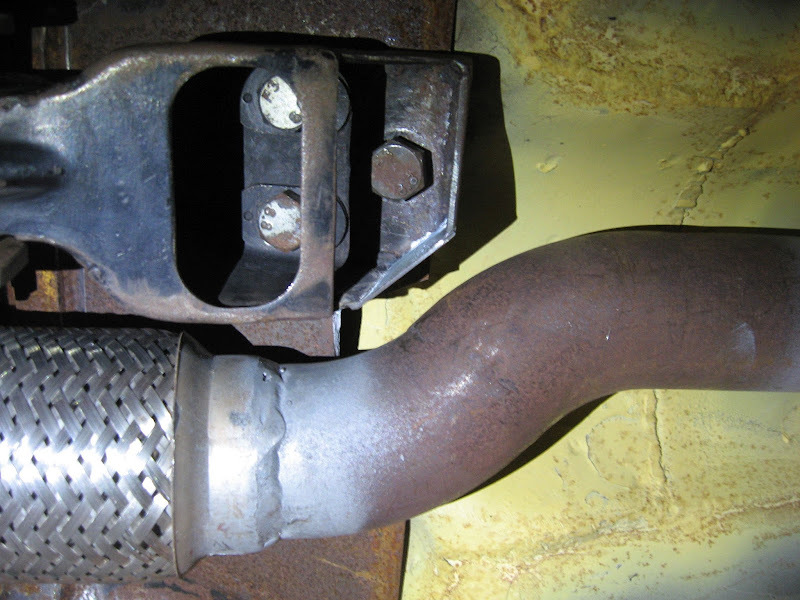 With the rear sway bar fitted, there was no way to remove the entire exhaust in one piece so I added a flange just in front of the muffler to remove the muffler and main exhaust length seperately. 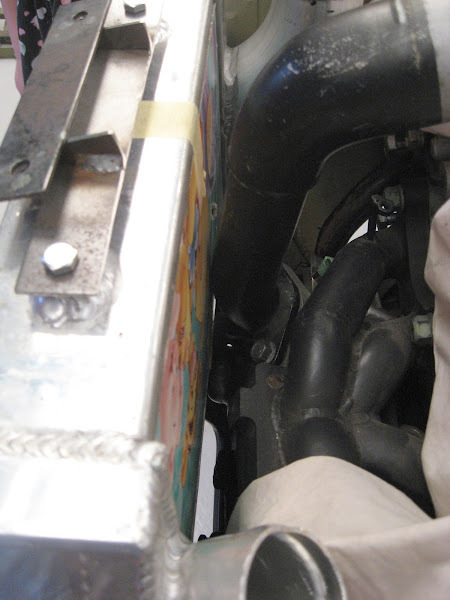 At the front of the exhaust length, I added a fixed / hard mount (before the flex joint) to prevent the weight of the exhaust hanging directly off the turbo and exhaust manifold. 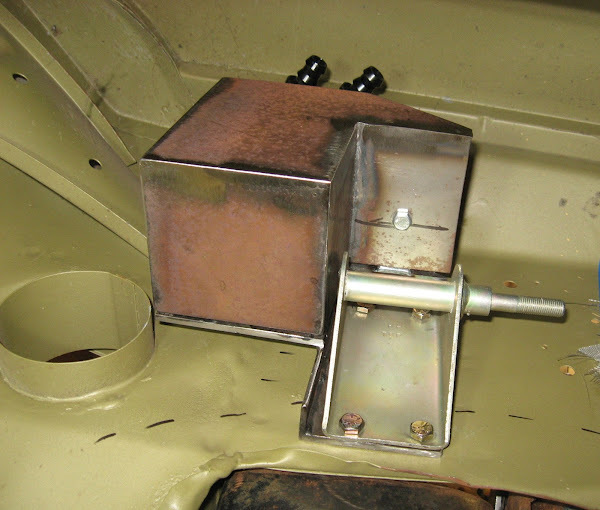 The exhaust bracket is bolted to the rear engine mount bracket via an 8mm thread I drilled and tapped. 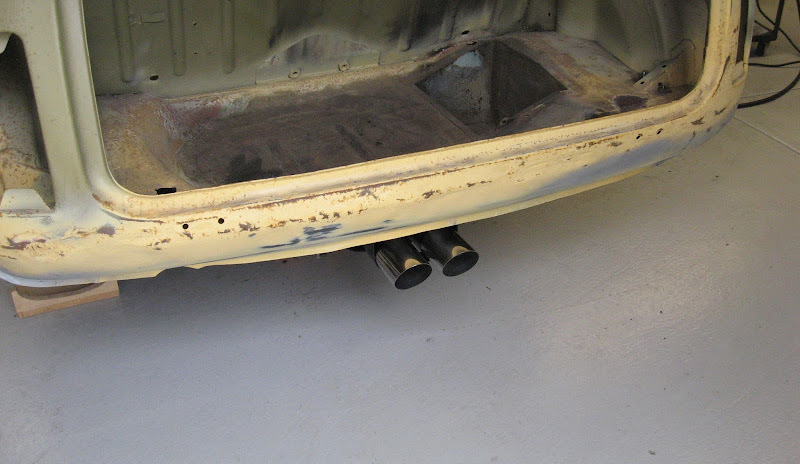 As for the muffler, I bought a generic mild steel straight through muffler, single inlet & twin outlet - I love the look of the twin tips At 400L x 200W x 100H, the length of the muffler fitted in-between the sway bar and the back of the subframe snugly with about 15mm clearance front & rear. 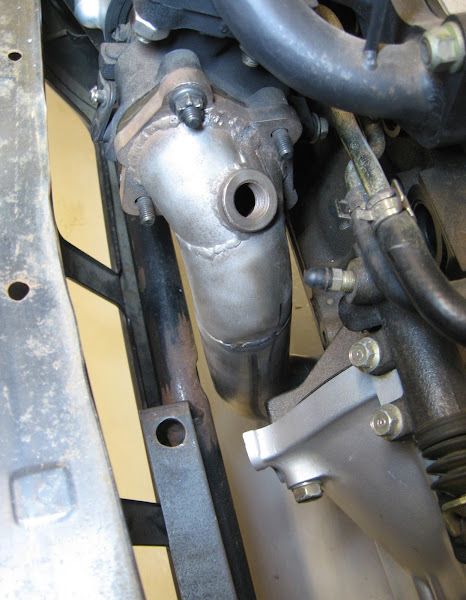 The front muffler mount used the standard Mini centre rubber mount with a hanger bracket. 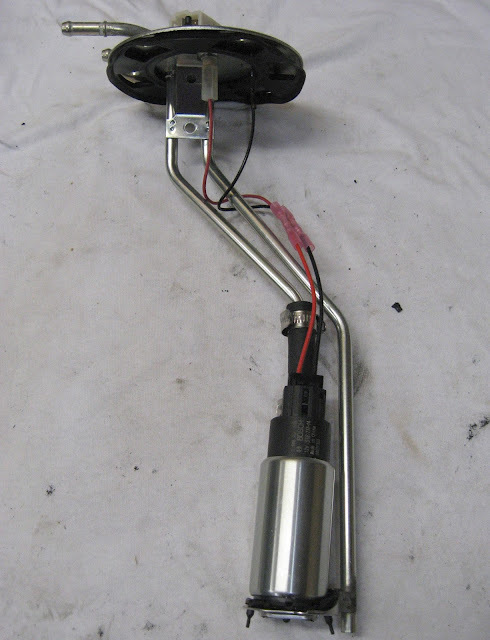 The rearward mount uses a bracket bolted to the back of the subframe, and a separate hanger bracket that loops under the muffler tips, isolated by two Mini cotton reel mounts - standard Mini muffler setup. 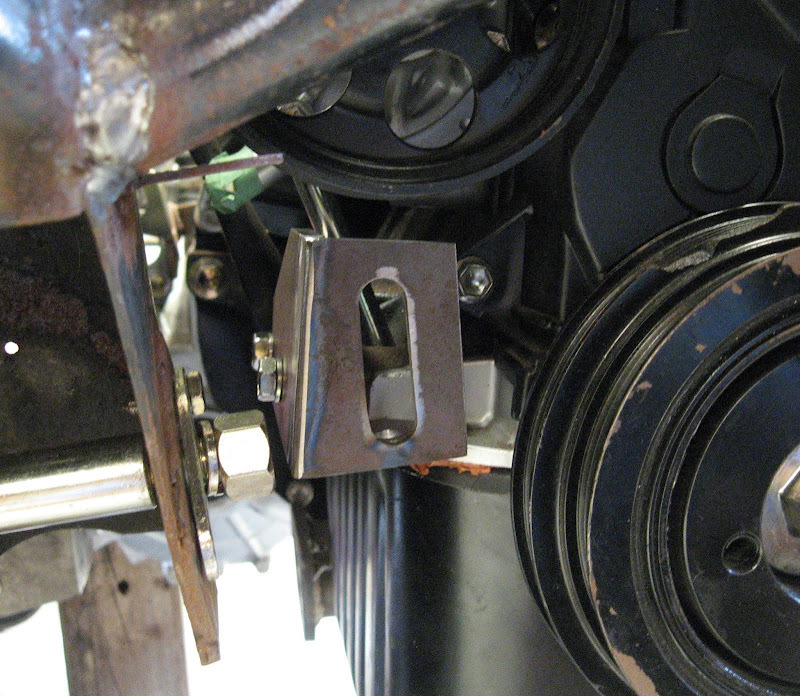 I have seen people use the cotton reel mounts where the muffler hangs directly off the mount bolt but I've also seen premature failure when the cotton reel mounts are mounted in tension, hence I made the hanger bracket loop over the top and compresses them. 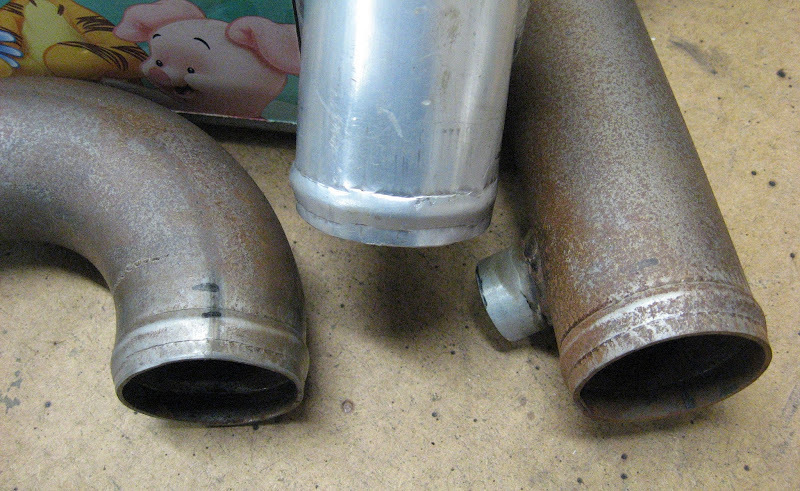 The stainless steel exhaust tips I used aren't huge (2.5" diameter) and am extremely happy with how they look once the muffler was fitted. 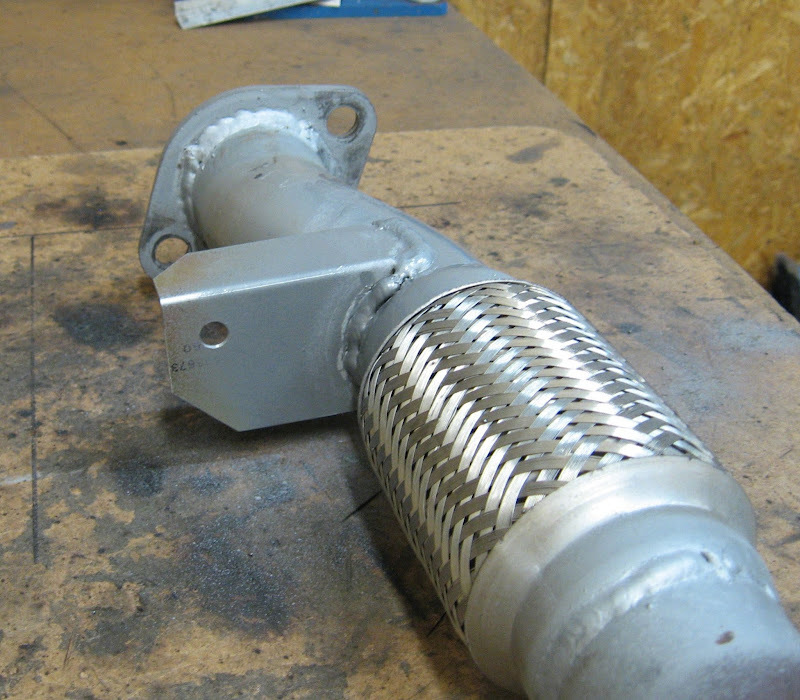 With the tips of stainless steel and the muffler and bracket as mild steel, I used stainless steel wire for the welds (for some reason, getting the settings right on the MIG was pretty hard so the welds don't look the best!). 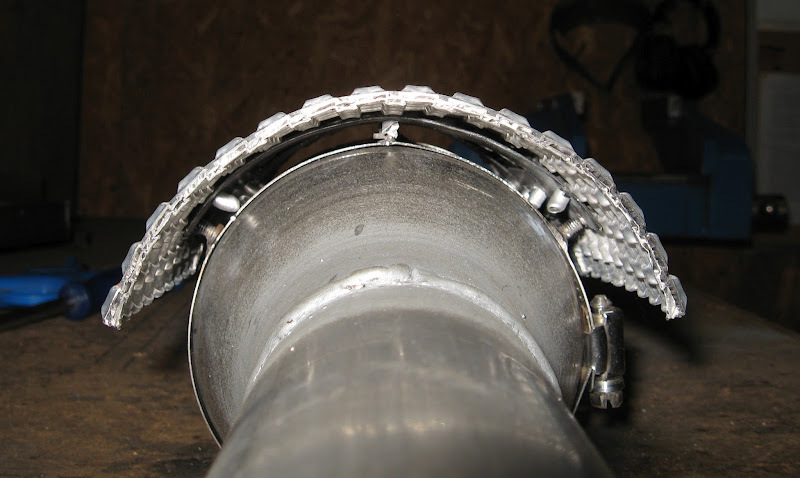 The stainless wire was used to maximise the corrosion resistance in the weld for the dissimilar metals. For a professional touch, I bead blasted the front half of the exhaust tips and painted everything in high heat satin black enamel, leaving the last 100mm of the polished tips exposed. 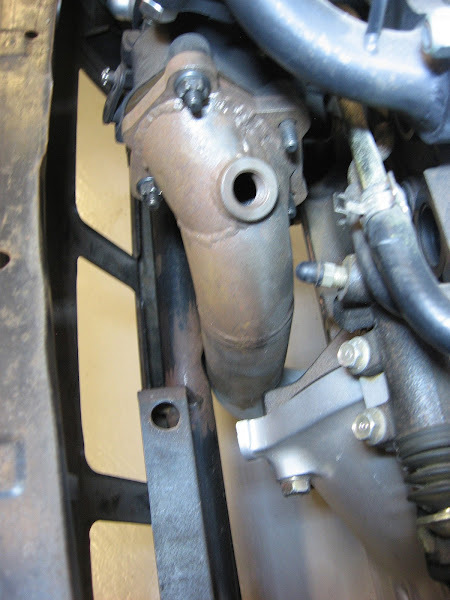 The last thing I had to do with the exhaust was modify the rear engine mount slightly. 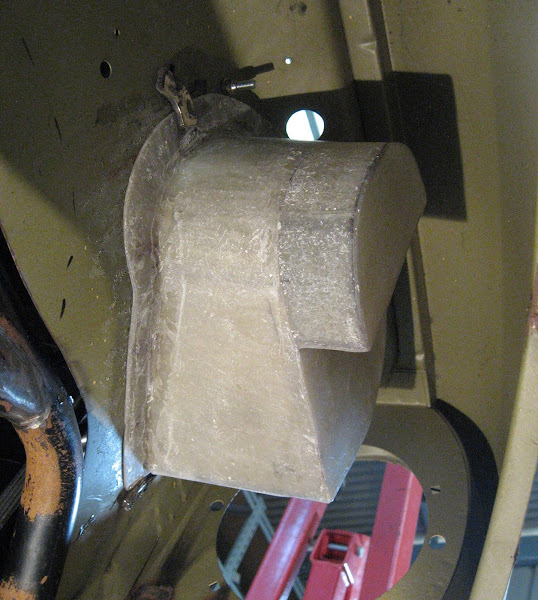 I removed a small corner section of the mount to prevent it fouling with the exhaust pipe bend. 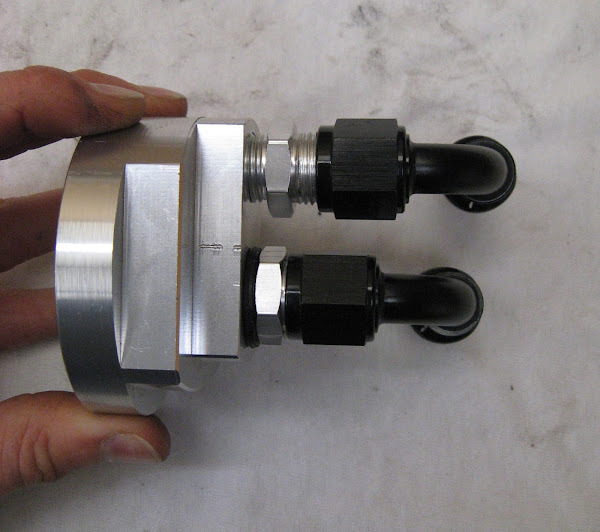 This change still allows all three mount bolts to be used, as per the factory configuration. 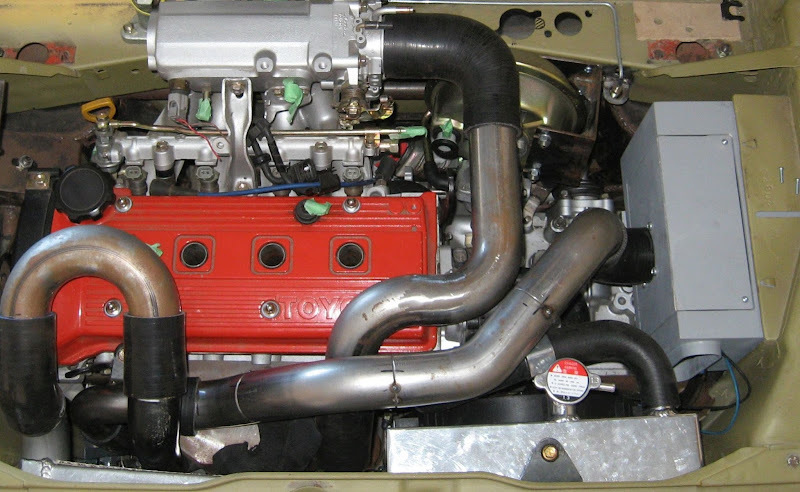 Part of the design of most engine bay piping is to have a bead around the rim of the end of the pipes to prevent hoses easily coming off and I've seen DIY options using vice grips but my piping is steel and vice grips just wouldn't be strong enough to form a bead, so some more custom tooling was required. I only intend on putting beads on the piping under pressure (ie. post-turbo). 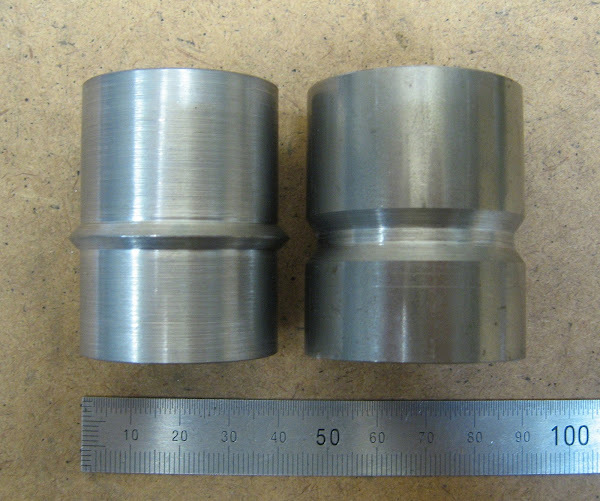 I used some 40mm steel and machined a male and female piece on the lathe so that when a piece of steel is clamped between them, it would form a small section of a bead. 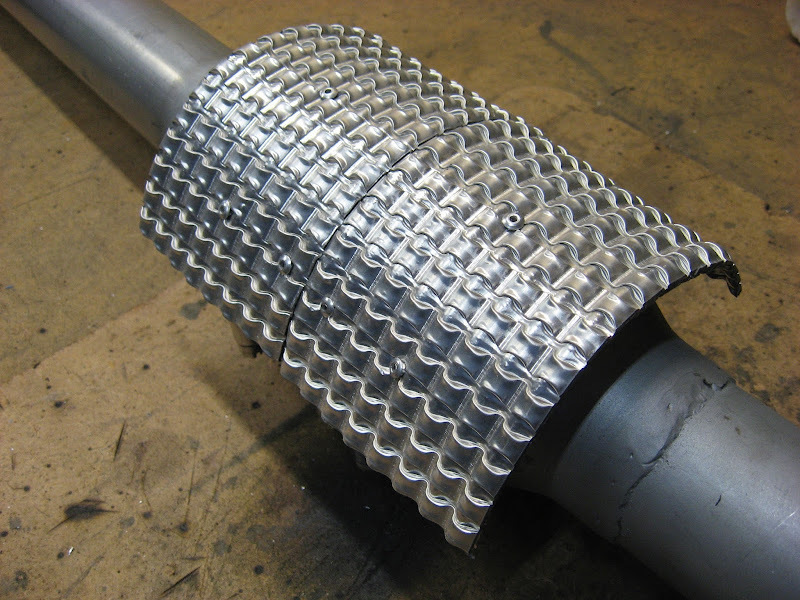 Each piece was cut down and welded to a strip of steel plate. These plates replace the standard jaws in my vice. 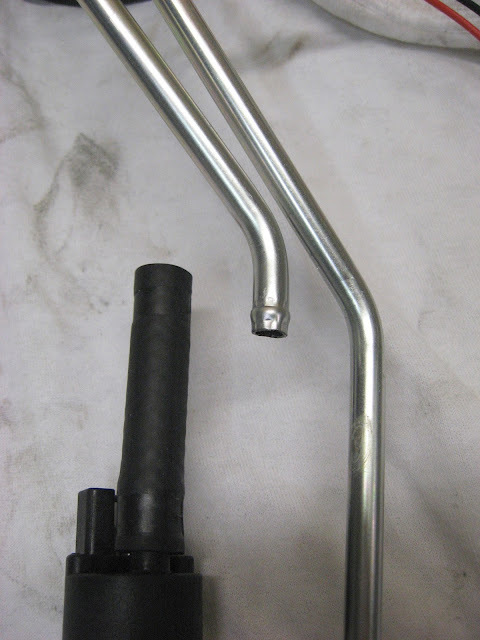 To form the bead, the pipe is placed over the male piece and the vice tightened - you'll need a beefy vice for this to work for steel pipe. 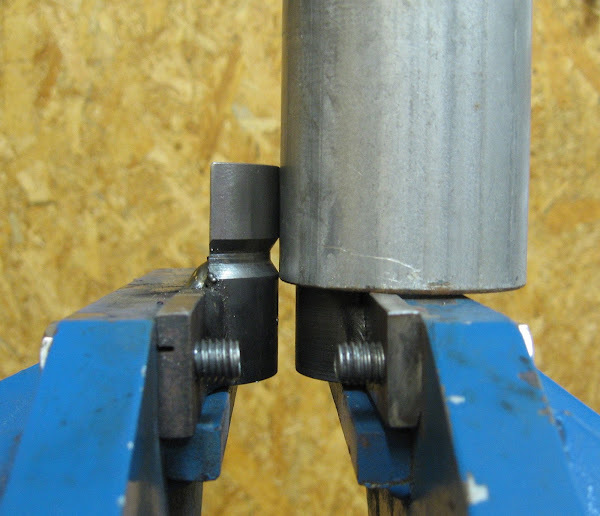 The vice is then loosened, pipe rotated a few degrees and then tightened again. After 50 or so repeats, the result is quite a neat bead around the pipe end. I used the bead tool on both the intake piping as well as the intercooler inlet/outlet pipes and I am pleased with the results. 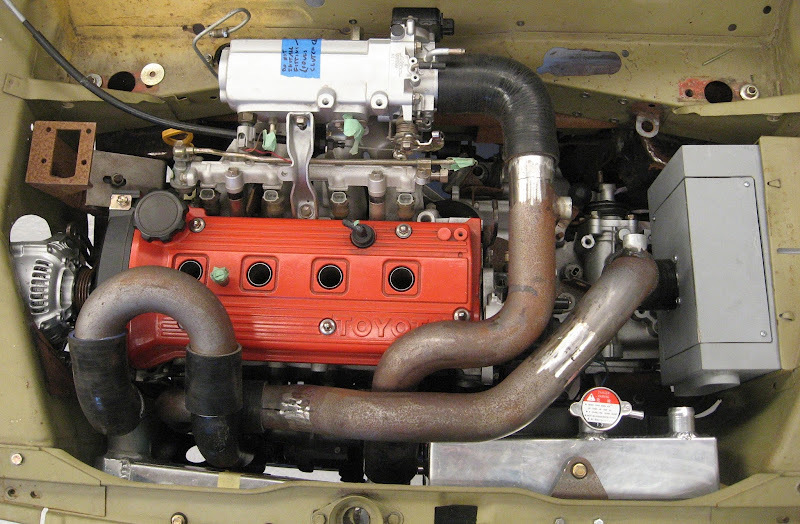 After about 3 hours hours of slow and careful playing, cutting, welding ... and the airbox-to-turbo pipe is now parallel with the valve cover. 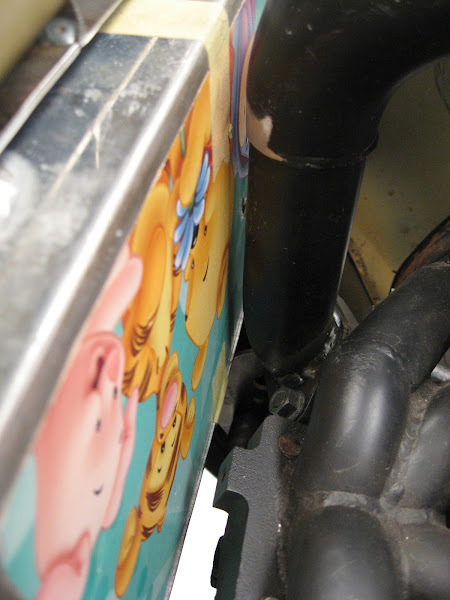 The tweak to the intercooler-to-intake-manifold pipe moved it a little closer to the engine valve cover. I cut the outlet pipe off it's flange, trimmed approx 10mm off the pipe and welded it back together. 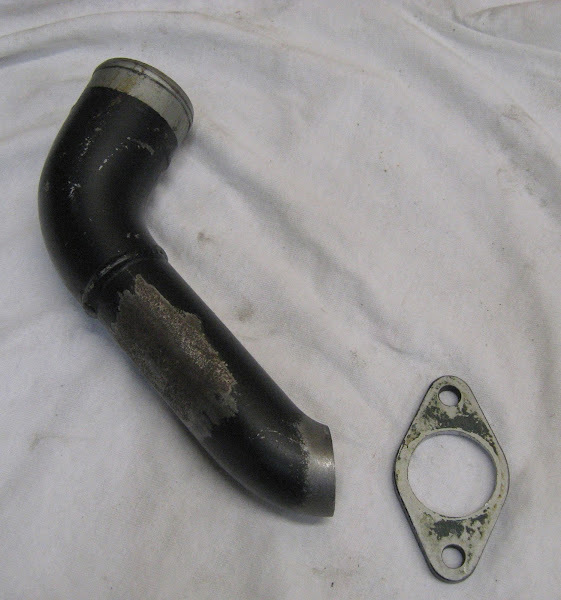 Once refitted the pipe is now approx 12mm away from the intercooler core. 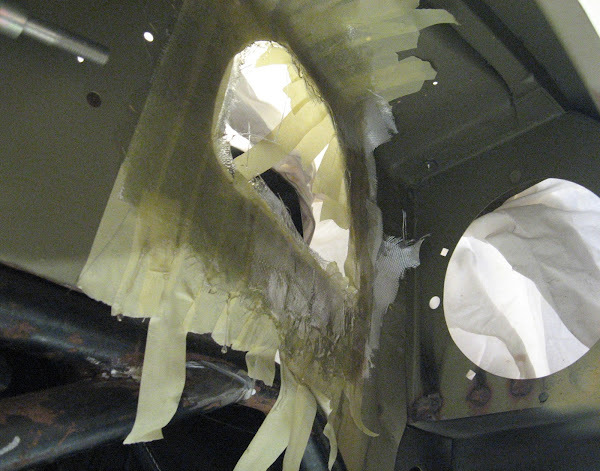 The silicon joiners and other pipework were not affected by this minor change. 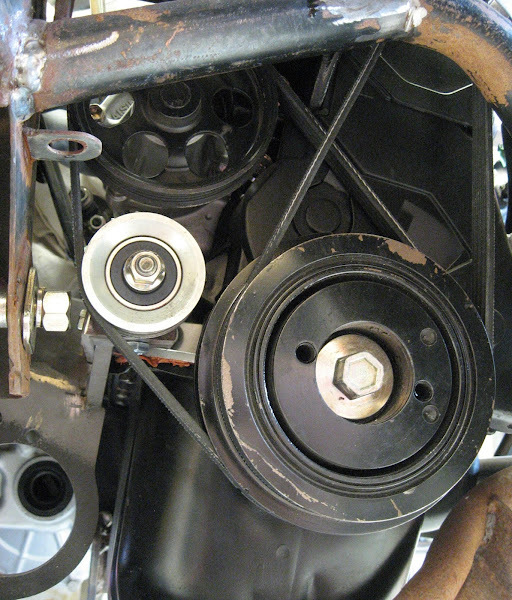 On the original engine layout the alternator was used to tension the belt that ran around the main crank pulley, water pump and the alternator. Since the alternator has been relocated (standard for our engine swaps), a new tensioner had to be fabricated for the water pump. 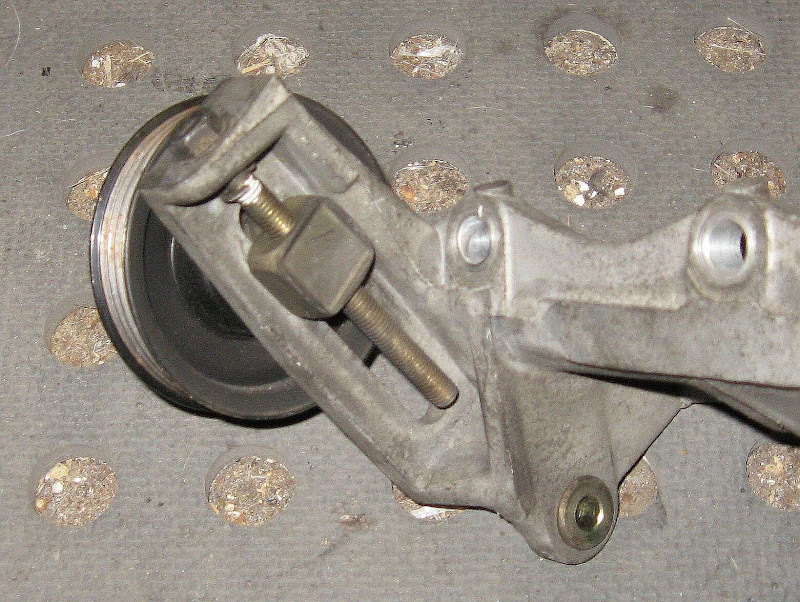 I found a tensioner at an auto wrecker (I can't remember what car it was from) so I could adapt it for my needs. I purchased the smallest 4PK pulley that my local auto parts store could provide (72mm OD), but this was way too big to fit between the other pulleys and subframe tower. I outsourced some work and got a custom pulley machined at a 20% smaller diameter of 58mm OD and used the same bearing size (6201RS) as the pulley I bought at the wreckers. This fitted nicely and seemed like it allowed for some reasonable vertical movement to tension a belt. 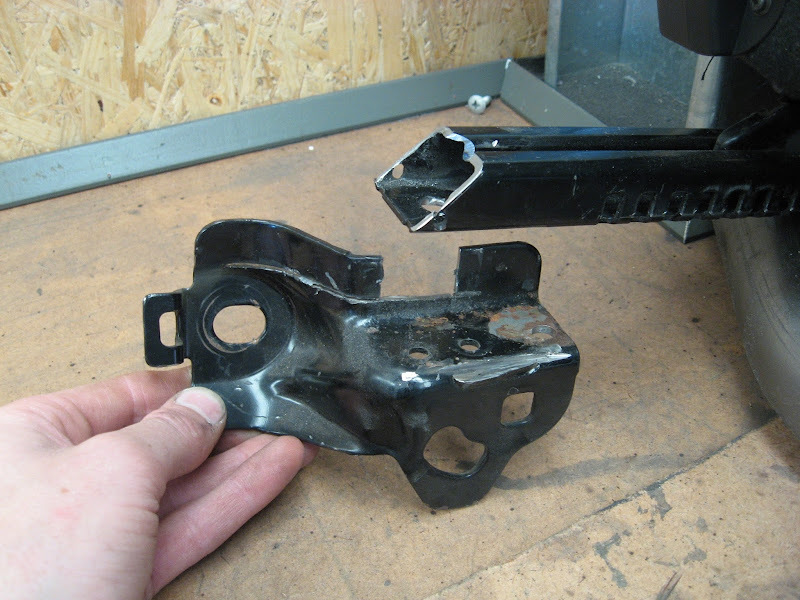 The final tensioner bracket design (rear view), made from 6mm steel which allows for approx 30mm of vertical adjustment. 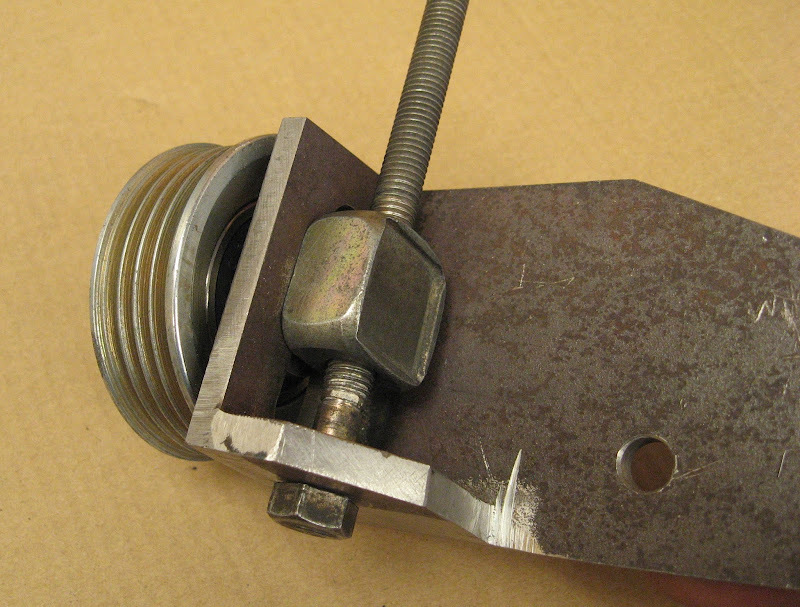 In the photo below, there is a custom spacer between the pulley and bracket. 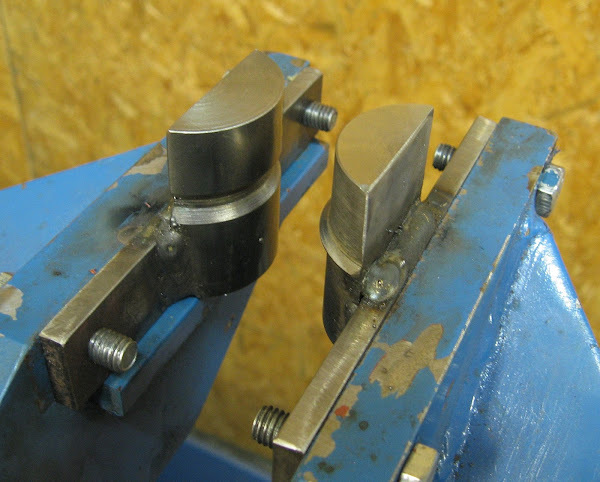 I had to make a few spacers of differing widths before getting the alignment with the other pulleys just right. The most common way I've heard to measure a belt size is to wrap a piece of string around the pulleys and measure the length of the string however because belt part numbers are coded and sold based on the "effective length" (outside circumference) of the belt, I think a closer approximation is to use something like a cloth tape measure because the tape does not sit in the pulley grooves like the string. 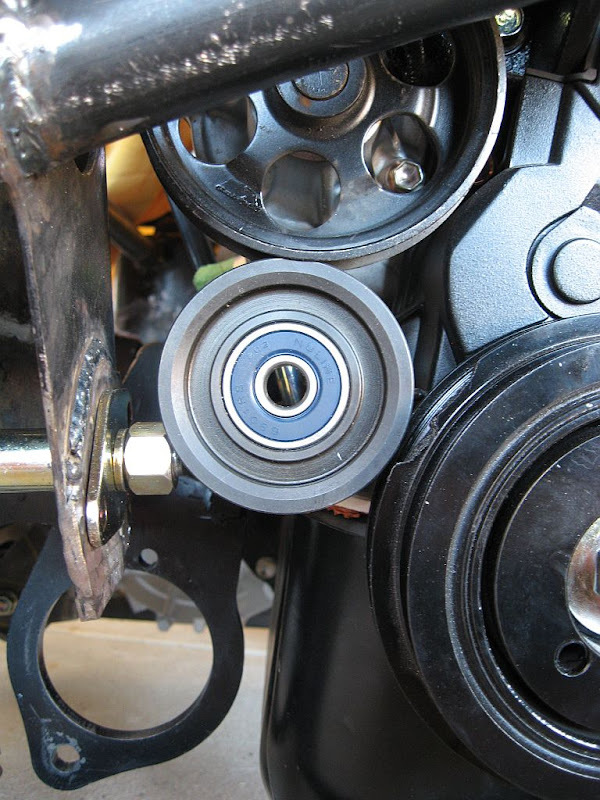 I moved the water pump tensioner pulley to it's loosest position and measured around the crank, water pump & tensioner pulleys. It measured 720mm. 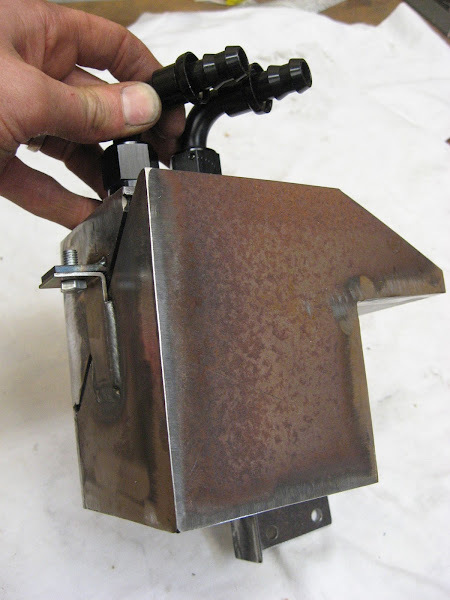 A few years ago, I bought a second hand SPi/MPi/Rover Mini fuel tank to use for the build. I wanted it not just for the extra capacity over a standard tank but because it is already designed for an EFI system with in-tank pump, feed/return lines and breather/vent port. 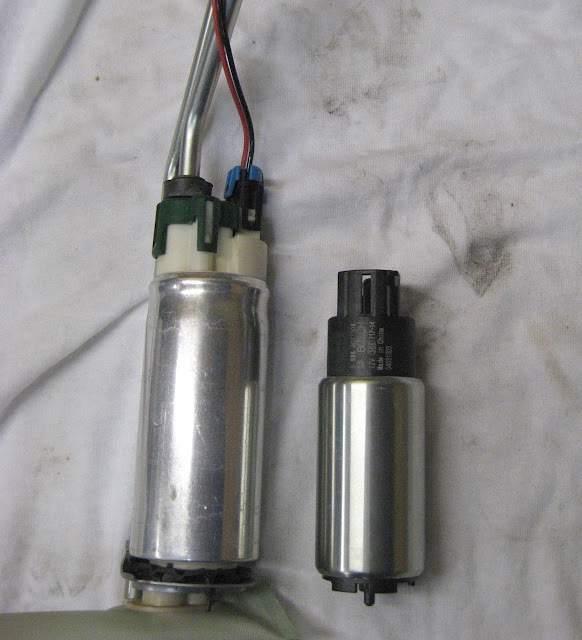 I had no idea of the condition or capacity of the fuel pump that was in the tank so I definitely wanted to replace it but also wanted to retain the in-tank pump setup. So what pump to use? Here are the maths for pump sizing ... the 4E-FTE engine has 295cc injectors and at 100% duty cycle, the injectors can flow 71 litres per hour : (295cc x 4cyl x 60min = 70,800cc) so using high flow pumps like a Walbro 255lph or Bosch 044 (267lph) pump is really excessive. 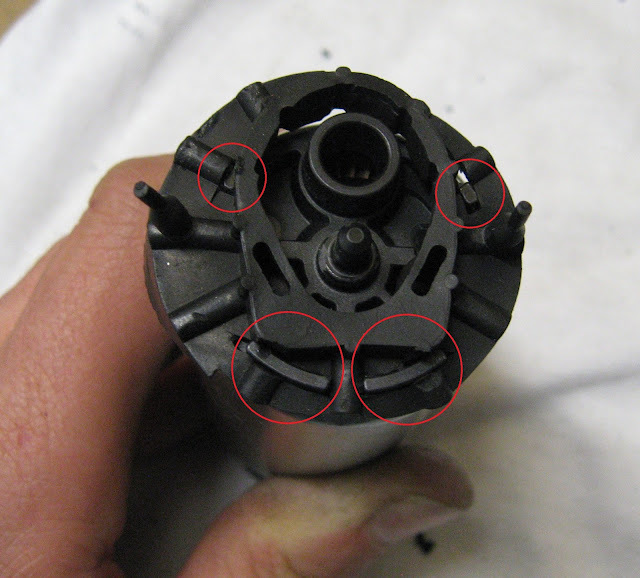 The new pump was not supplied with a rubber base, so using a sharp blade I carefully cut a few slots in the Mini pump rubber base to ensure the standoffs on the bottom of the new pump were secure and the pump would not move around once fitted. I trimmed a short length off the original tank outlet pipe and created a bead on the end of the pipe using the small bead former I made. I did not have the wiring loom or electrical connector to plug into the tank so I planned on using a combination of electrical spade connectors and another plug to create an adapter for the fuel tank, however after visiting my local electronics store Jaycar and buying a random 2-way automotive plug (Jaycar Part #PP2062 https://www.jaycar.com.au/automotive-2-way-plug-socket-250-series-2-way/p/PP2062) it was by complete coincidence the correct plug for the tank! I purchased a remote oil filter kit and decided to follow suit from others and mount it in the wheel arch. 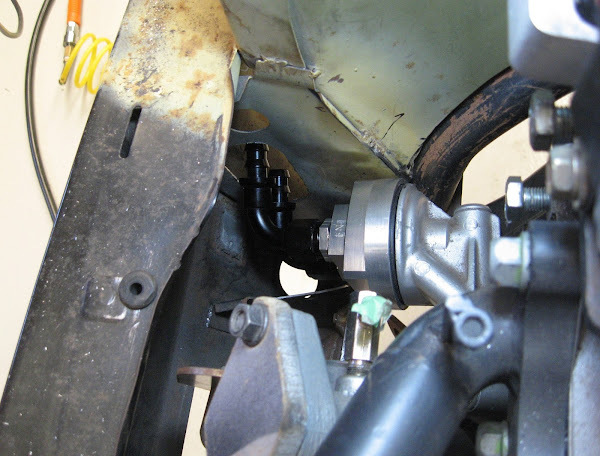 Due to the limited space between original filter location and front apron, the I had to shorten the supplied threaded adapters to fit the 90 degree hose fitting. 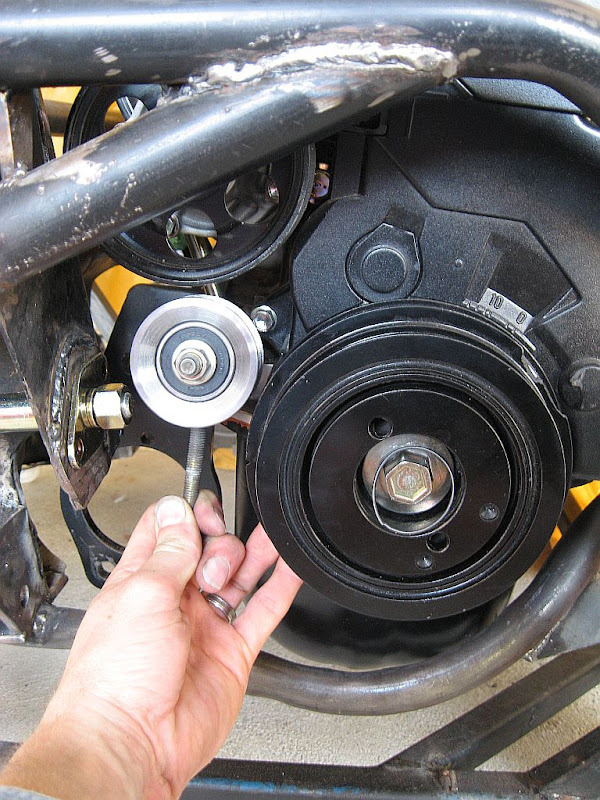 I chose to locate the remote bracket just above the height of the shock absorber bracket so that the oil filter will be as high up in the wheel arch and the hoses would have not have any tight bends. When getting the car inspected for road registration, I don't know if the inspectors will view an oil filter exposed in a wheel arch as a problem so to protect both the filter and the oil temperature/pressure sensors, I made a cover that bolts onto the bracket and shields the filter and sensor fittings. This was made from 1mm steel and bolts on to the main bracket using the two tabs seen in the above photo. Note that I left a gap (~3mm) between the main bracket and the cover to prevent any water from pooling within the cover. 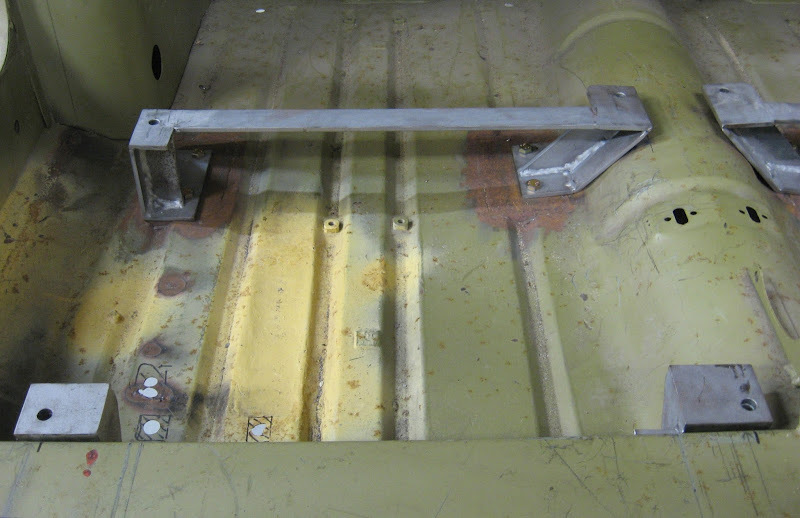 View of the bracket & cover installed. 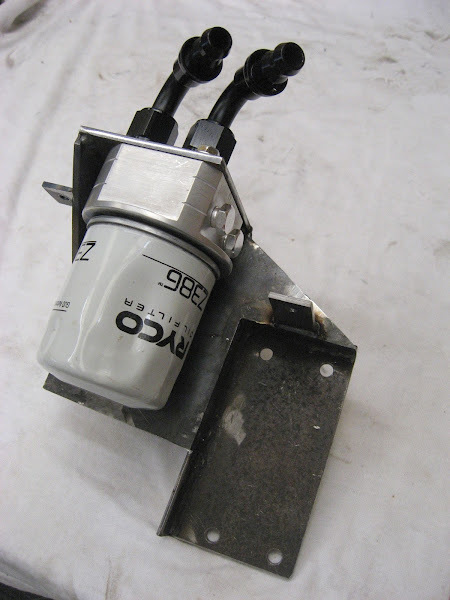 Note that the steel plate at the back of the oil filter is not mounted against the inner guard due to a bump in the shape of inner guard that it had to clear. 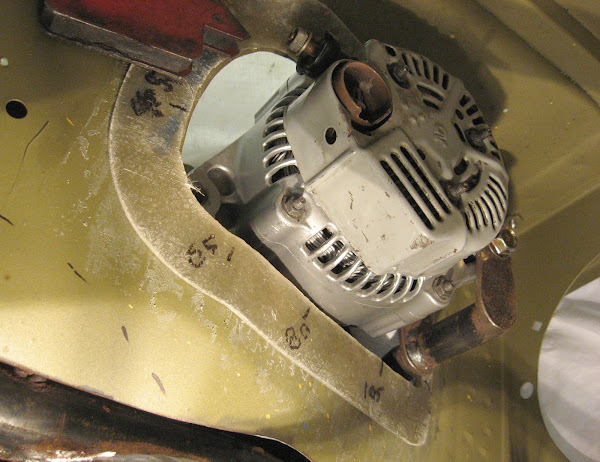 Once dry, the piece was then trimmed and with the alternator installed, I measured and marked how far out the cover would need to be to cover the alternator. 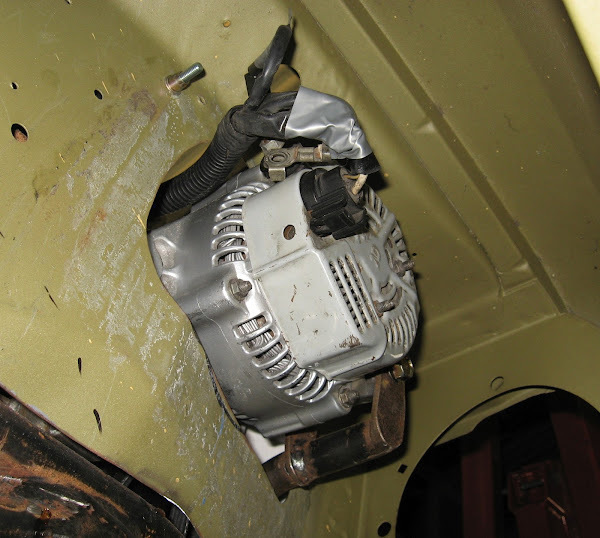 From there, some flat fibreglass sheeting was wrapped around the above "ring" and I added an step to clear the wiring plug that splugs into the back of the alternator. I also made sure it does not interfere with the headlight bowl. 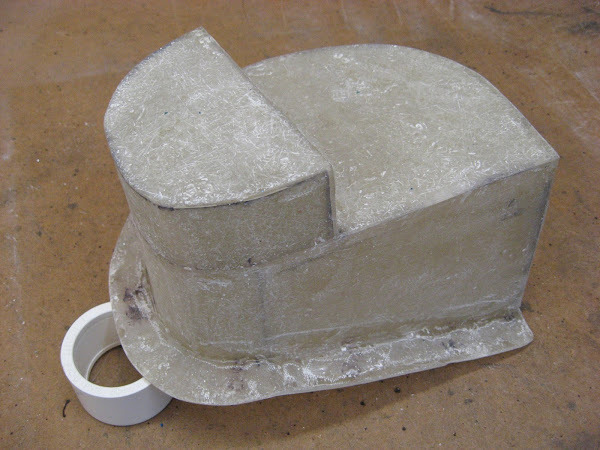 The cover (yet to be primed/painted) is bolted to the inner guard with a few bolts and will be sealed with some neoprene foam. My only concern now is with the alternator half of it enclosed in a cover, will it get enough airflow to prevent it from overheating on a hot day. Should I drill some small holes in the rear of the cover or make a small duct to feed the alternator with fresh air?? Will this be enough? I reckon a little bit of ducting would be a good idea.... and what are you doing for a handbrake? those seats don't leave a lot of room do they? Wonder if a morris 1100 handbrake might be of assistance on the outside of the driver's seat? .... and what are you doing for a handbrake? those seats don't leave a lot of room do they? You must be this tall to drive this mini sticker opportunity?